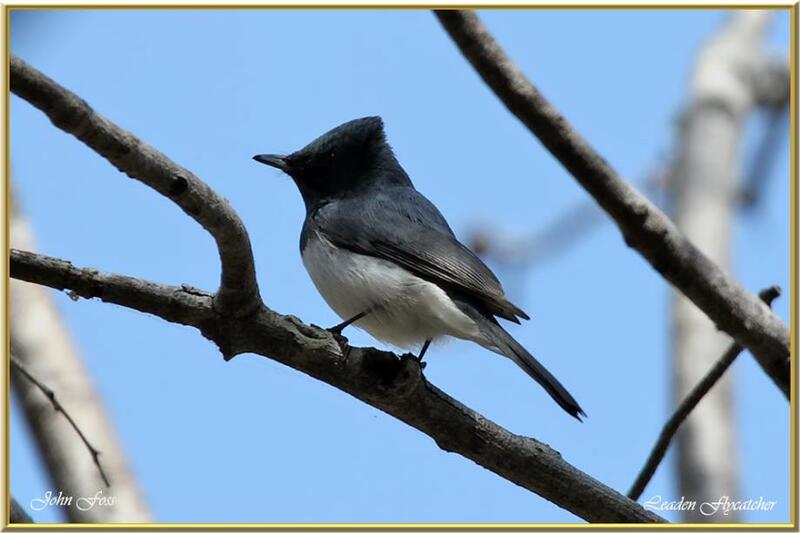 Leaden Flycatcher - found in eastern and northern Australia. It is a very active bird that catches its prey in flight as most flycatchers do. This is a photograph of the male which is dark blue above, with a white breast and a short crest. The females have a blue-grey head and back with a distinctive reddish orange chin, throat and breast merging gradually into white lower parts. I photographed this bird in Bundaberg Queensland Australia.